This year could have been a really difficult one for rallying in Poland with Rally Poland being removed from the WRC schedule after four years and returning the European Rally Championship (ERC) fold. 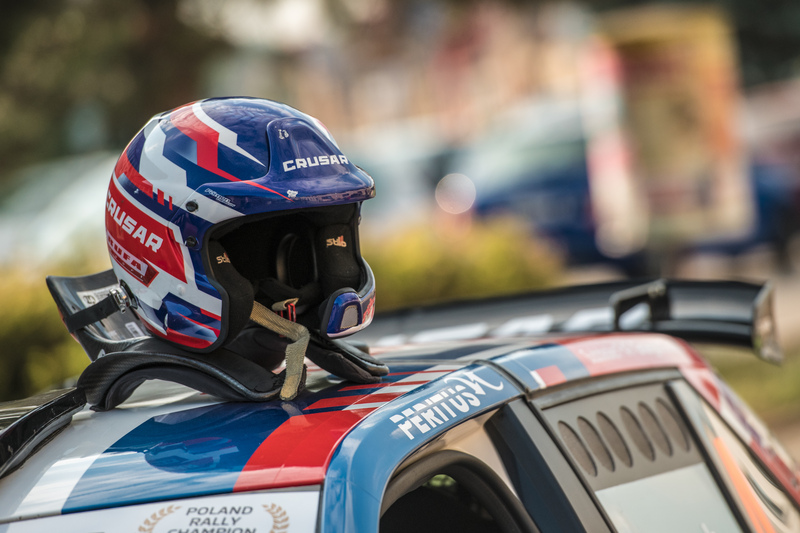 With Polish drivers conspicuous by their absence from the sport’s top tier as well, the pressure was on Poland’s domestic rally championship to deliver something special to keep the country’s fanbase happy and continue to entice newcomers to the sport. 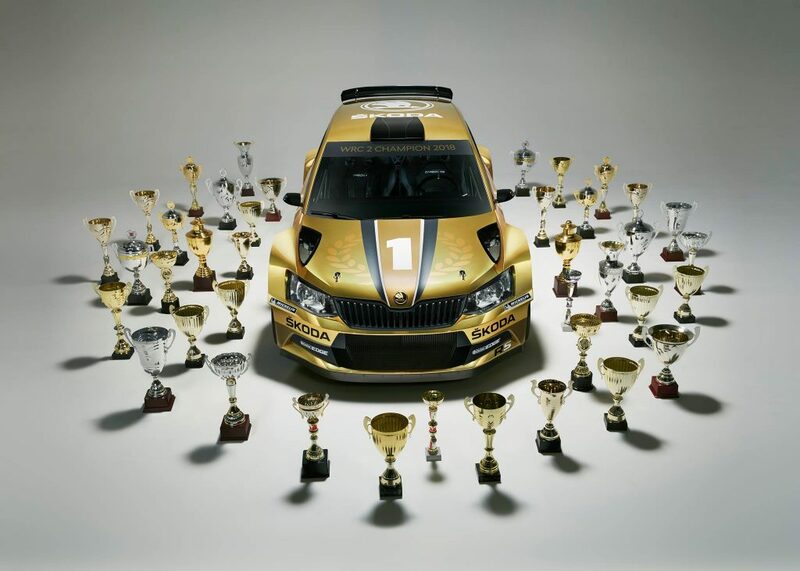 It more than delivered as a titanic three-way battle for the Championship between three Polish drivers, competing for three different teams, but all driving the same ŠKODA FABIA R5 car produced one of the most compelling and competitive seasons of rallying in Poland’s history. The three drivers who would ultimately slog it out for the title came into this season from very different backgrounds. Grzegorz Grzyb is an experienced 42-year old who won the Polish title in 2016 and also had four Slovak Championship titles under his belt. 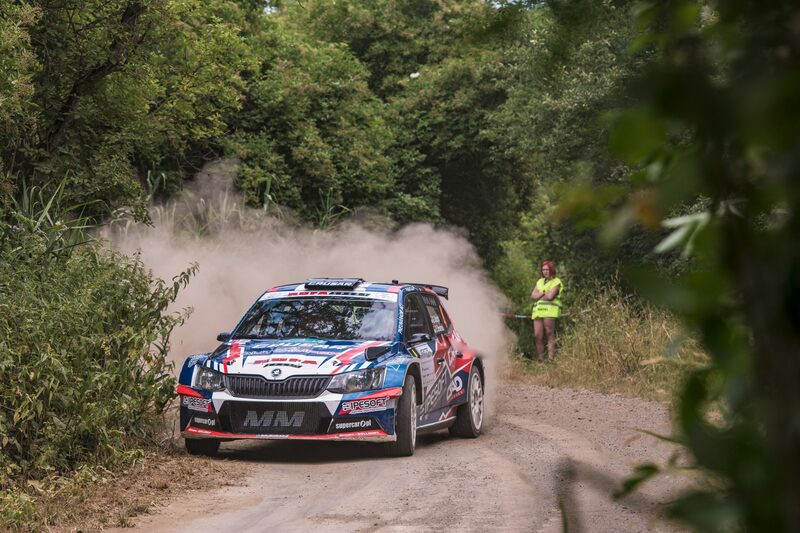 Driving for the Rufa Sport team, this was his second full season in a FABIA R5 and he had already scored some impressive performances in the ERC in it. In contrast, 22 year-old Mikołaj Marczyk was entered just his third season of rallying. After some impressive results over the past two years in a Subaru Impreza STi N15 and Honda Civic Type-R, he had signed for the ŠKODA Polska Motorsport team and was embarking on his debut season in the FABIA R5. The third contender was Jakub Brzeziński. He too was making his first starts in a FABIA R5, for the Go+Cars Atlas Ward team and while he is a fairly seasoned contender in the Polish Championship, a solitary runners-up finish in 2016 was the best he had to show for his endeavors before this season. 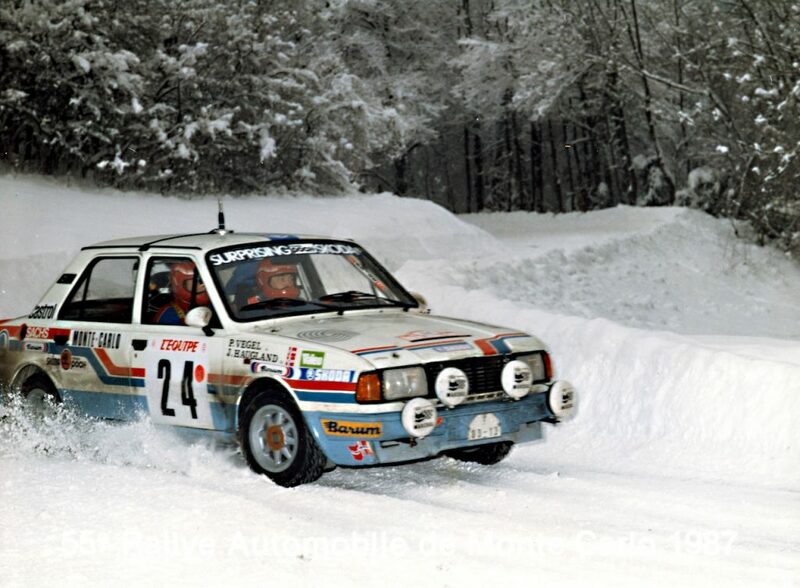 The opening round of the season was the Rajd Świdnicki where, fittingly, all three drivers would end up on the podium. 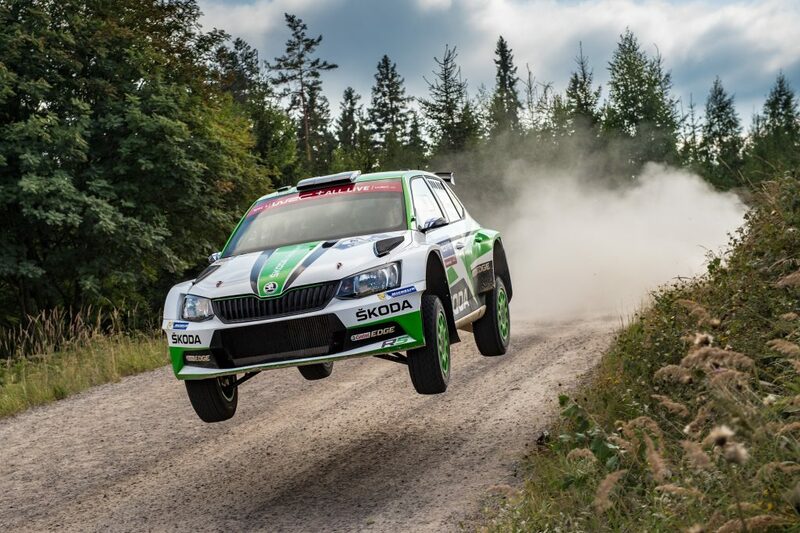 It was Grzyb who took the win and won four of the eight stages, but his margin of was just 13 seconds back to Brzeziński, with Marczyk a further 4.7 seconds back. If fans thought that was a close rally, they hadn’t seen anything yet. 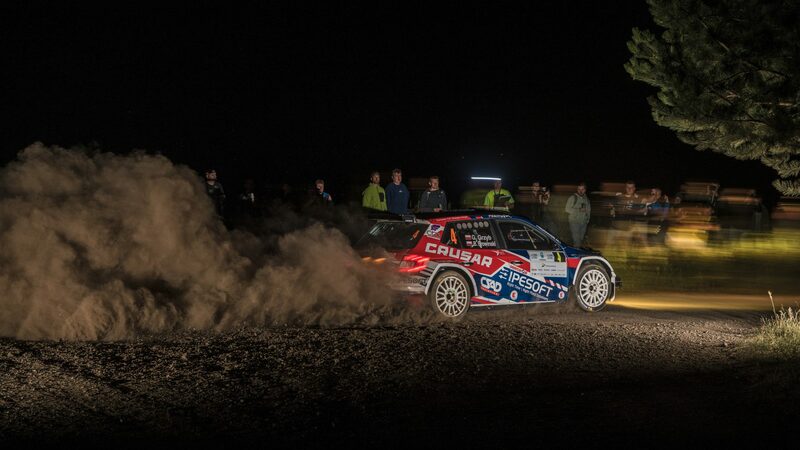 At the second round, the Rajd Dolnośląski – Hotel Zieleniec, there was just 0.3 seconds between the top two finishers with Brzeziński this time edging out Grzyb after winning a dramatic final stage by 2.9 seconds to overhaul his lead. An accident had earlier forced Marczyk to retire on stage 8. 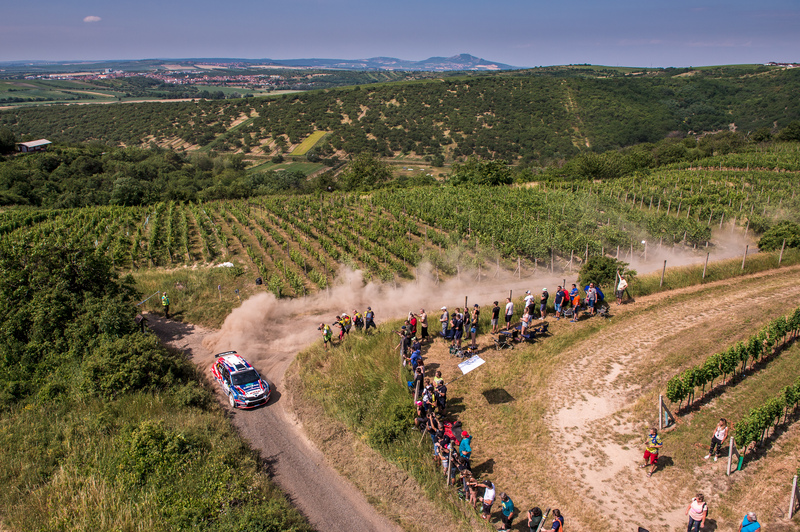 Brzeziński then had the opportunity to extend his lead as Grzyb didn’t enter the next two rounds, choosing instead to focus on Slovak and ERC Championship events. 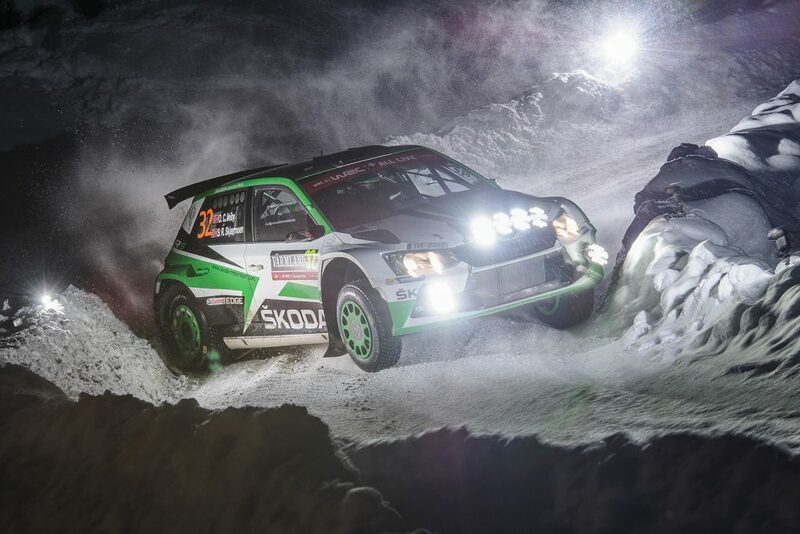 Brzeziński took full advantage at the next rally, winning by 40-seconds from Marczyk, who also suffered a 10-second penalty during the penultimate stage. But he could only finish runner-up in round four at the Rajd Śląska after being pipped to a third successive win by just 0.2 seconds by Tomasz Kasperczyk, despite a valiant final-stage surge. With three rounds of the season remaining, Brzeziński was in pole position for the title, but the remaining rounds would feature the strongest fields of the season. Next up was the Rajd Rzeszowski, which is also part of both the Central Rally Trophy and the Central European Zone Championship. 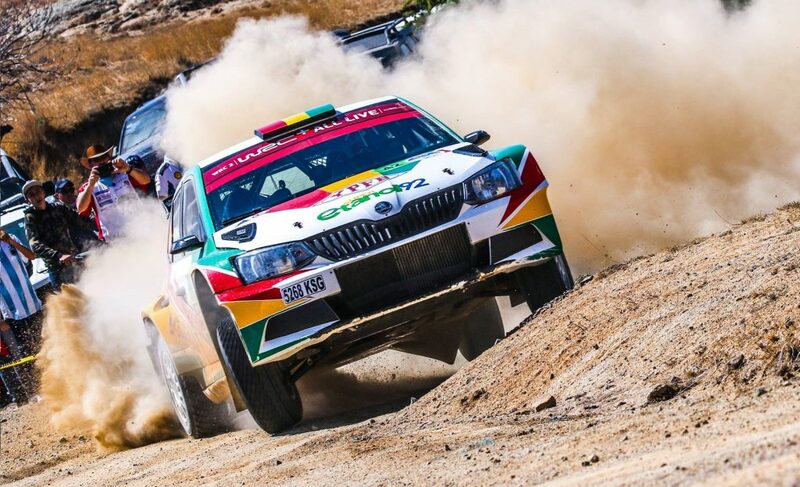 Grzyb was back on the starting line for this one, but he would be denied victory by fellow FABIA R5 driver Nikolay Gryazin, who finished 1 minute 28 seconds further up the road. That result did mean he topped the Polish standings though. Another strong drive saw Brzeziński claim the final podium place and second in the Polish standings. He was 2 minutes and 2 seconds behind Grzyb, but that was mostly down to a two-minute penalty incurred on stage 5. Meanwhile, there was another mature performance from Marczyk, who came home 5th overall and 4th in the Polish standings. 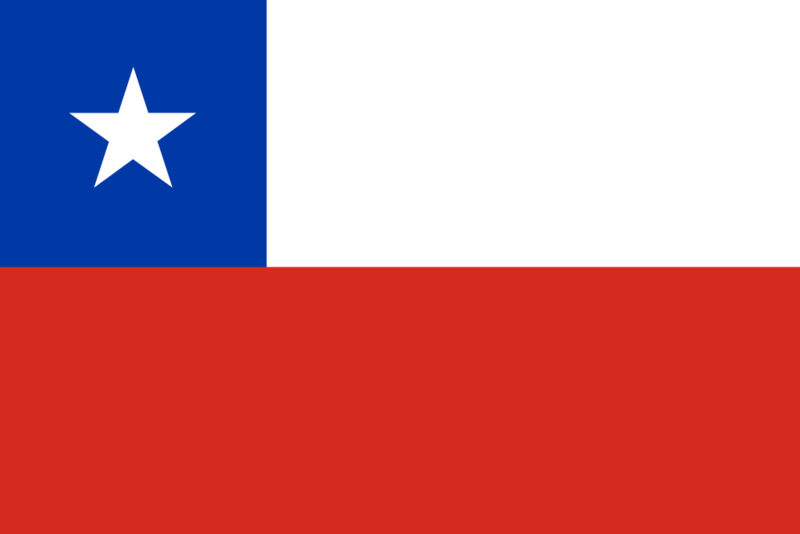 The penultimate round of the season would turn the title race firmly on its head. At the Rally Elektrėnai, it was the Russian Gryazin who once again claimed the overall win. But, while there were six FABIA R5s in the top 10, the big winner in the Polish standings was Mikołaj Marczyk. He put in his strongest performance of the season so far to finish 4th overall and win the Polish standings by 10.2 seconds. Grzegorz Grzyb was back in 8th position overall and 5th in the Polish standings after experiencing problems in the first leg, while Jakub Brzeziński didn’t even start and so lost out on valuable points. The result meant the title would go down to a decider at the biggest event on the Polish Rally calendar, the Rally Poland. All three drivers were in with a chance of the title, although for Marczyk it was always going to be a long-shot. But in a hugely strong field, that was again dominated by FABIA R5s, he was once again the star man from the Polish contingent. Nine of the top eleven cars home were ŠKODA, with Marczyk ending up a hugely impressive fifth in the overall standings. 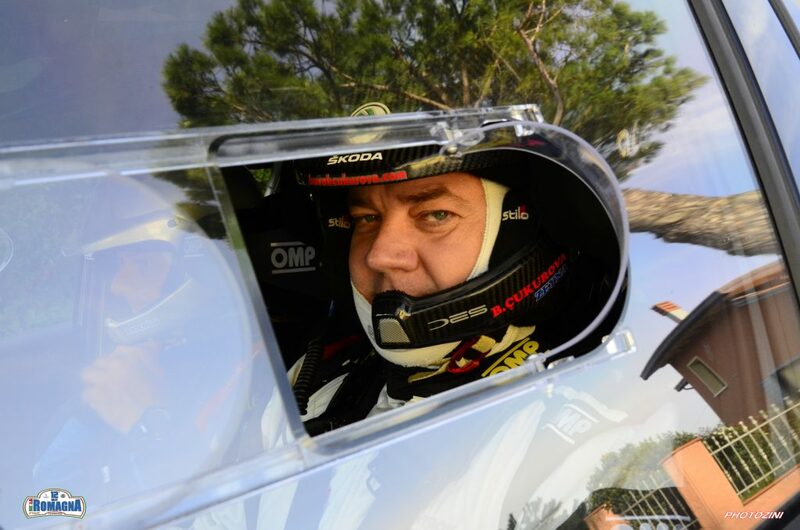 That meant he finished top of the Polish standings for the second rally in a row. Meanwhile, Jakub Brzeziński opted to enter this rally in a Ford Fiesta R5. It proved to be a bad decision as a disastrous opening leg meant he finished outside the points in 15th in the Polish standings. That meant all eyes were on Grzegorz Grzyb to see if he could overhaul his two rivals. It was by no means the finest performance of his career, but while he only came home 7th in the overall standings, he was third in the Polish standings and that was enough. Just! In an unbelievably tight finish to the season, Grzyb finished on 151 points, just a single point ahead of Marczyk who finished in second place. That meant that Brzeziński, who for so long had looked on course for his first title, had to settle for third place in standings, ending up 5 points behind the winner on 146 points. It was a thrilling championship battle that went right down to the final seconds of the final rally. And it proved that the sport of rallying is still in good health in Poland. They may have lost their WRC round, but in Grzegorz Grzyb they boast one of the strongest drivers in eastern Europe and a fitting champion. 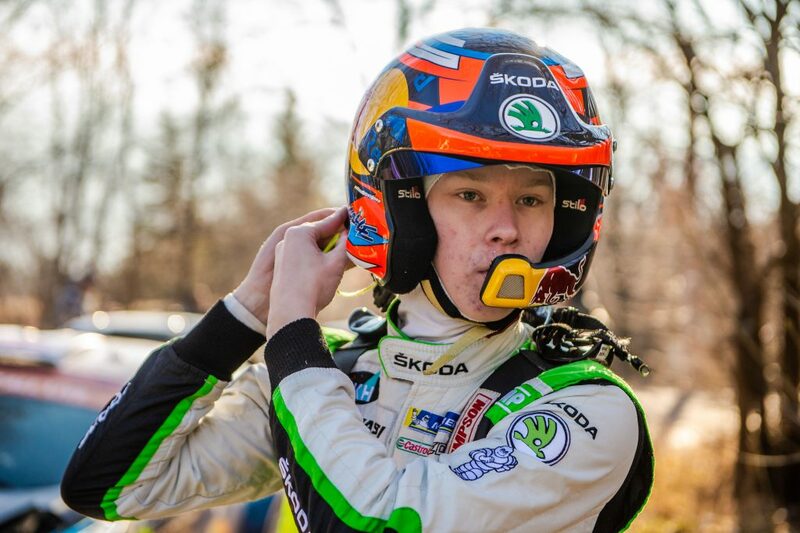 And in Mikołaj Marczyk, the ŠKODA Polska Motorsport team look to have unearthed a new gem who undoubtedly has the ability to win future Polish titles and has also shown the potential to achieve much more besides.